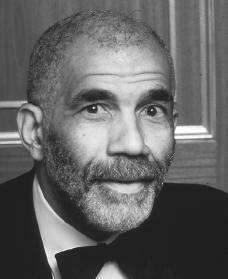 Award-winning American journalist Ed Bradley remains best-known for his work on the weekly news program 60 Minutes. Edward R. Bradley was born on June 22, 1941. His parents separated soon after he was born. His father moved to Detroit, Michigan, where he owned a vending-machine business and a restaurant. Bradley lived with his mother in Philadelphia, Pennsylvania, and spent part of each summer with his father. His parents worked very hard. Often they held two jobs that kept them busy twenty hours a day. Even so, they never let him think he could not make a better life for himself. They told him he could be anything he wanted to be and he believed it. Bradley received a bachelor's degree in education from Cheyney State College in Cheyney, Pennsylvania, in 1964. To make extra money during his college years, he delivered telephone books and gave fellow students rides at fifty cents a trip. After graduating from college he taught sixth grade. He got a chance to work in radio as a disc jockey and news reporter for WDAS-FM radio in Philadelphia, but he was not paid for his work. Bradley covered his first news story when rioting broke out in north Philadelphia. WDAS found itself short-staffed (without enough people). Bradley went to the station and got a tape recorder and an engineer (a technical person). He said, "For the next 48 hours, without sleep, I covered the riots.… I was getting these great scoops [first interviews].… And that kind of hooked me on the idea of doing live stuff, going out and covering the news." Bradley proved himself to be a capable newsman. The station began to pay him a small salary—$1.25 an hour. From there he moved on to WCBS radio, an all-news station, in New York City. He worked there for three and a half years. Then he became bored with his work. He quit and decided to move to Paris, France. Bradley enjoyed the cultural life of Paris. He thought he would write novels and poetry until he ran out of money. Then he took the only job he could find. He joined CBS again as a stringer (an occasional writer) in their Paris office in 1971. Like all stringers, he was only paid for the stories that were accepted. Bradley wanted to get back into the real news business. He was transferred to the Saigon, Vietnam, office of CBS news in Southeast Asia to cover the Vietnam War (1955–75; a war in which North Vietnam fought against U.S.-backed South Vietnam). While there he was wounded in an attack and eventually was sent back to the United States. After other assignments Bradley covered Jimmy Carter (1924–) in his 1976 campaign for the presidency. After the election CBS assigned him to its Washington, D.C., office where he became the first African American to be a White House correspondent (reporter). Even though it was a very important position, Bradley hated it. It required him to be in a small office, doing the same things day after day. He wanted action. From that time until 1981, Bradley also served as the anchor (main newscaster) for the CBS Sunday Night News and also as principal correspondent for CBS Reports. In 1981 he replaced Dan Rather (1931–) as a correspondent for the weekly news program 60 Minutes. Bradley's work has won him many Emmy Awards (awards for excellence in television) for broadcast journalism as well as other awards for his achievements. A correspondent for CBS's 60 Minutes since 1981, Bradley has become one of the most visible African Americans on network television news. Though Bradley resists being pigeonholed (narrowly described) as an African American reporter and is said to hate covering African American stories, some of his finest moments with CBS occurred when he covered racial issues. "Murder—Teen-age Style" is one example. His report "Blacks in America: With All Deliberate Speed" was a look at race relations in the United States. He won an Emmy and other awards for the program. The documentary contrasted the status of African Americans in Mississippi and in Philadelphia between 1954 and 1979. CBS sent Bradley to report on the Vietnamese refugees known as "boat people." "The Boat People" aired in 1979, earning Bradley another Emmy and several other awards. It was also shown on 60 Minutes in an edited form. Bradley had been considered for 60 Minutes in the late 1970s, but reporter Harry Reasoner was chosen instead. Then, when Dan Rather left the news program to take over Walter Cronkite's (1916–) position as anchor of the CBS Evening News, Bradley was asked to join the program. Bradley's presence changed the chemistry (the way things work) of 60 Minutes, with his sensitive, compassionate approach to interviewing. Dan Rather had been more aggressive. Coworkers and critics alike have pointed out Bradley's ability to establish a rapport (relationship) with his subjects. Mike Wallace, a cohost on 60 Minutes, remarked that Bradley's approach is "instinctive—he has no idea how he does it." Bradley himself resists analyzing his style. He said in an interview, "I'd rather not think about it and just go out and do it, and it will come naturally." When Bradley interviewed singer Lena Horne (1917–) in December 1981, TV Guide described the journalist's work as "a textbook example of what a great television interview can be." Bradley alternated Horne's performances with interview segments in which Horne discussed her personal and professional life. Bradley created an intimate (personal) portrait of the singer. Bradley said "it told a lot about the way women are treated, a lot of things about the way blacks are treated. It told a lot of things about interracial marriages, difficulties in the film and entertainment industries and how those things have changed and not changed." Bradley has said that he feels "Lena" is among his best work. "Lena" won Bradley his first Emmy as a member of the 60 Minutes team. Not all of Bradley's interviews have been friendly ones. He has had many unpleasant interviews because he refuses to back down from unpleasant issues. In a 1995 TV Guide viewers poll of active CBS journalists, Bradley was the highest scorer in seven out of eight categories. Bradley's need for adventure has not lessened and he still travels often. Bradley summed up his attitude about his career in an interview with People magazine in 1983. He said, "The bottom line of this job is fun. And when it stops being fun, then I'll stop doing it." Bradley marked his twenty-first season with 60 Minutes during the 2000–2001 season. He continues to produce the news stories that made him famous. Hewitt, Don. Minute by Minute. New York: Random House, 1985. Madsen, Axel. 60 Minutes: The Power and the Politics of America's Most Popular News Show. New York: Dodd, Mead and Company, 1984. This is a great article. I love to see us black people prevail and become successful. We're not all rappers and actors, we can report the news, gain an education and become leaders. R.I.P ED BRADLEY! I basically grew up watching television admiring this African American Journalist. I listen to him frequently on 60 minutes since he had a strong presence of caputuring your attention in the moments of his broadcasting. I also admired his diamond-stud earring and how well he could wear a black tuxedo. I salute Mr. Bradley... Well done, well done, and well done! I only have one word to say about Mr. Bradley, Amen. I admired his style of journalism and his commitment to get the news to the public. His personality made it so easy to watch 60 minutes and his distinct voice always caught one's attention. He will be greatly missed. God Rest his soul and bless his family. How proud we were to see this Tall Handsome Black Man come on the TV and speak with such intelligence. Inspiring to say the least. Through that intelligence was this down-to-earth nature that we all could identify with. It wont be the same without his face on the screen. He seemed to have lived the life that he loved and that is truly a blessing. I am happy for him. May he rest in peace. We will miss him. Like others I also grew up watching Mr. Bradley on 60 minutes. He is at the top of my list as one of the most admired and intelligent black men. He will truly be missed. 60 minute will not be the same with out him. My prayers are with the family. Yes, a very sad day! We have all lost with Ed's untimely departure. The news just won't quite be the same. So long Ed, a job well done! ed was a natural,real cool, great interviewer, all around nice man, may he rest in peace. he will be missed. God bless the soul of this accomplished man. Sorry to have lost him this soon. Thank you for your work Ed. And for touching the lives of many and a particular few. Mr.Bradley you were a true precious gem, that was an inspiration to all Americans and people around the world. You were so poised, articulate and sharp during your interviews, and the beard and earring just showed us your sense of fashion. This world will miss you...There is no one like you and probably never will. What a shame for the youth of the future, who will not see the great heights one can achieve in the mass media industry, and still retain a distinct identity. A few words come to mind when I think of you, they are: Black, special, charming, witty, eyes that smile, intelligent, approachable, inspiring, missed. God bless you. JFK,MX,and so forth and so on. ED BRADLEY, THE GROUND BREAKING BLACK MAN WITH THE BLING BLING FOR NEWS AS WELL AS THE BLING IN HIS EAR,WITH THE GIFT OF TRUTH, SINCERETY & FAIRNESS SO PROFOUND THAT YOU DID NOT SEE THE COLOR OF HIS SKIN, BUT THE CONTENT OF HIS CHARACTER, YOU WILL BE MISSED BY MANY. I am at a lost for words. I read of Ed Bradley's passing and could not believe what i was reading. He will always be missed. I want to thank God for having him in my life time to enjoy. God bless you Ed. You will always be missed. You're at a "lost" for words? That sentence has never been truer. You couldn't believe that Ed Bradley had passed? A man that has been dying from Leukemia for years? You are an enigma. Ed Bradley's name will live forever in the hearts and minds of people around the world. He was one of he greatest journalists by merit, known for his thoughtful, mellifluous voice and often laid-back approach. He was gracious, and would always have a smile. "Ed was the coolest man I’ve ever met and he could cover any kind of a story. He traveled the world. He was in the White House. Ed Bradley was just a damn good reporter", said Bradley's "60 Minutes" colleague Mike Wallace. We love you and will always be remembered. What family does Ed Bradley have? I have not heard or read anything about his family and how they are coping with his death. Does he have a wife or children? He was a great news man. He will surely be missed. In answer to Jenn #20, he is survived by his wife Patricia Blanchet. I don't know if there were any children. He had the best sucessful life of all Americans.He achieved his dreams and will always be remebered by his fans and he will always be a romodel.My heart goes out to his family and friends. I will really miss Ed Bradly.He had a good inpact on my project that I did.It was all about his.Because of his acheivements I won the prize.I was so glad that I did it was all because of him. God bless and safe journey. . .you are missed, loved and continue to be an an inspiration to all that follow in your field of expertise. Was Ed Bradley only married once? Was he once in a long-term relationship with a notable singer? missed very much and never forgotton. If you should find the answer to your question about his mother, I would be interested in knowing also. I thought the 60-Minutes Special was very good. Ed Bradley was a professional who transcended racial lines and apparently led an an interesting and fulfilling life! Bravo! and may he rest in peace. i think that ed bradley was a very influentual man to adults and children like me. he inspired us all through his reports and journalism. i think that if he could make a great impact on me, he can on any body else!! !